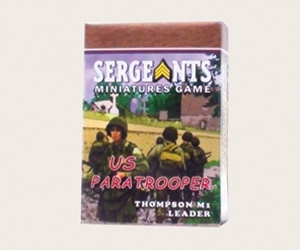 Each US Paratrooper M1A1 Thompson armed leader comes as a private soldier, junior NCO and senior sergeant. Can be played as a private through NCO with the Thompson MG! what can be wrong?